The Solar Energy viewlet is the first of a family of “focus” viewlets targeting sustainable energy applications. There are two versions of this viewlet available depending on your needs, one for a single solar site, or another for multiple solar sites. The single Solar Energy viewlet has four views, plus a kiosk feature. 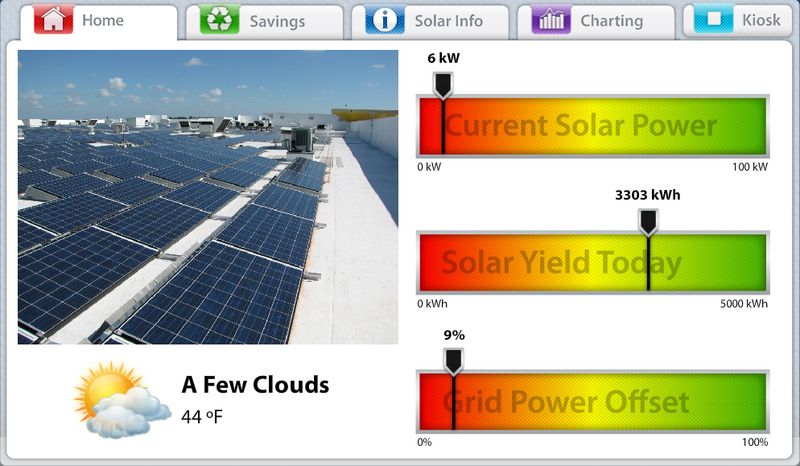 It will display specific stats including: current solar power, solar yield today, grid offset, and current weather conditions. Also available is a savings tab that shows common conversions for kWh, Oil, CO2, and Dollars from the day to the lifetime of the site. 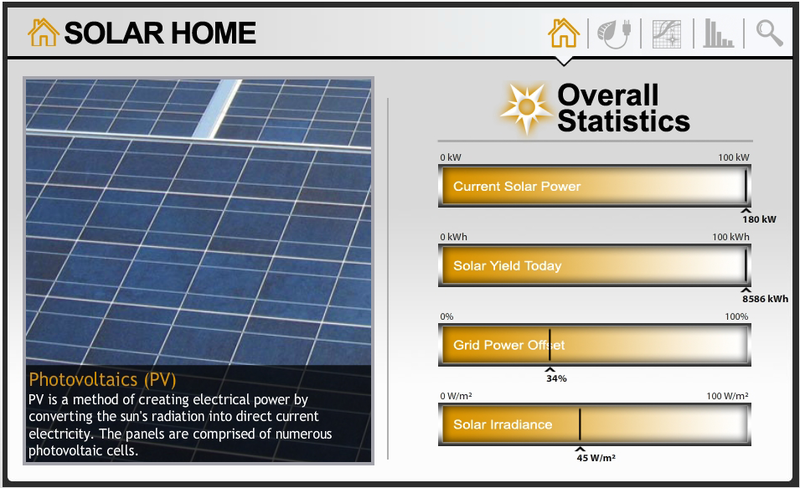 A built in greentips slideshow, and charting that shows system yield vs solar irradiation is also included.